Rosi, please send me your contact details so I can pass them on to Chronicle Books for them to send you a copy. The Story: Johnny's plans fly out the window when he finds out his single mother is leaving town for the summer. She has a breakthough job in upstate New York. He can live with his Aunt Collette but only on the condition that he "help out with" his autistic older cousin, Remember. 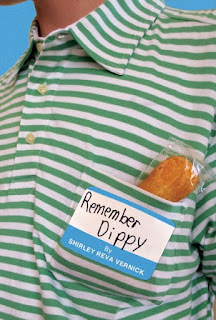 Yup, you heard it right: Remember Dippy. That's his cousin's name—and Remember is a gawky awkward kid with some pretty strange habits, like repeating back almost everything Johnny says and spending hours glued to the weather channel. Johnny's premonitions of disaster appear at first to come to cringeworthy fruition, but when the two boys save a bully from drowning, salvage the pizzeria guy's romance, and share girl troubles, Johnny ends up having the summer of his life. "Hull, Vermont, should be named Dull, Vermont. More cows than houses. No mall, no roller rink, not even a mini-putt. So I knew my last summer before high school was going to be a boring one like all the others. What I didn't know was that it was going to be a rotten summer." I pretty much say it about all the books I like: VOICE. By this I mean that the voice (the outlook, the word choices) of the main character, Johnny, is spot on. Johnny would much rather hang with his friends, Mo and Reed, than with his cousin Remember ("Yes, that's right, his name is Remember--straight out of some New Age baby-naming book.") Remember (or Mem, as Johnny calls him) is on the autistic spectrum and does indeed have several habits that would exasperate a neurotypical teen. Mem repeats parts of what others say; he throws tantrums when he feels he can't control what's happening in the world around him. But he is also sweet. Therefore, while Johnny views his neighbor, Mr. Boots, as a "cranky old man," Mem calls him his best friend. Mem also doesn't get rattled by the boy whom Johnny can't stand, Dirk Dempster. In the end, it's Mem who teaches Johnny acceptance. Cast of Characters: There's actually a lot going on in this novel. Johnny's Aunt Collette, who is Mem's mom, and with whom Johnny's spending the summer, has a suitor. Niko, who owns the pizza parlor in town, has lost the engagement ring he wanted to present his girlfriend. There's a girl, Leesha, visiting from Chicago who actually likes it in Hull and doesn't want to return home. (Mem, of course, befriends her.) Dirk Dempster has a rotten home life, but he and Johnny come to an uneasy truce. There are rescue ferrets. And Johnny and his pals end up helping (and growing to appreciate) Mr. Boots after he falls and breaks a leg. Humor: Yup, there's a lot to laugh about. Middle school boys playing mini golf with... hard boiled eggs?! "So that's how we invented a new sport called Egg Whack. Mo actually wanted to call it Egg Roll, but Reed and I vetoed it on the grounds that it sounded like Chinese take-out." There are haircut disasters: "Who was this alien with the spikes and poufs staring back at me...? I looked like a rock star on a bad hair day, only worse." But I think my favorite line is near the end, when the kids have pulled off something major and Johnny says "For a terrifying moment, I thought we were going to have a group hug. Leesha put both arms out, and Mem started leaning in--but I was saved by the bell. The doorbell, that is." See what I mean about voice?! 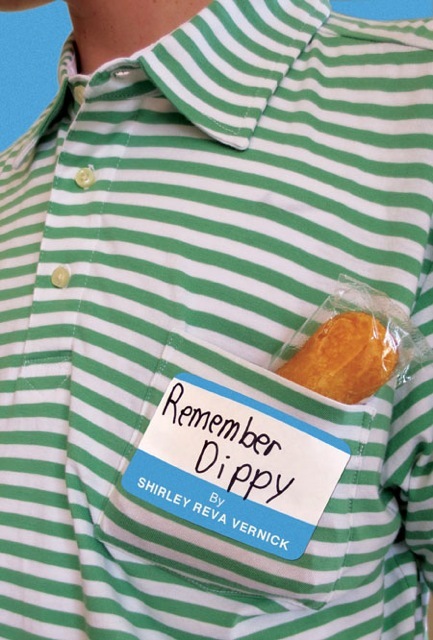 In conclusion, REMEMBER DIPPY doesn't have a huge promotional budget. It's being published by a small press (more on that later). 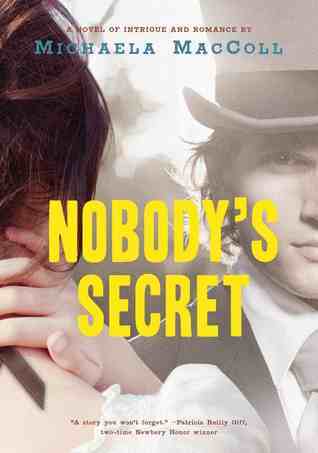 But it was definitely one of the more endearing novels I've read in a while, and I would encourage you to seek it out. Middle Graders will find the attitudes and experiences of the novel ring very true to life. About the Author (from Amazon): Shirley Reva Vernick's debut novel The Blood Lie was named on the 2012 Best Fiction for Young Adults list from the American Library Association. It also received the Simon Wiesenthal Once Upon a World Children's Award and Sydney Taylor Honor Book Award. 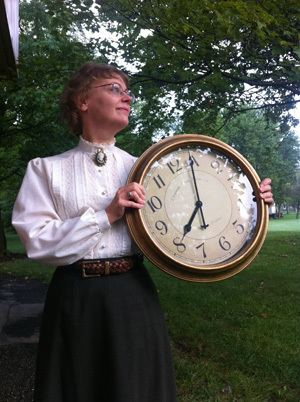 Shirley lives with her husband, two daughters, and two frisky dogs in western Massachusetts. In addition to running a popular storytelling website—storybee.org—Shirley has written for Cosmopolitan, Good Housekeeping, Ladies' Home Journal, national newspapers, and the publications of Harvard, Johns Hopkins, and Boston universities. About Cinco Puntos Press: I would invite anyone who is interested in small presses to visit the Cinco Puntos website. The publishers, Lee and Bobby Byrd, talk about publishing as a voyage of discovery. And one of their authors, Benjamin Alire Sáenz, was recently awarded the 2013 PEN/Faulkner Award for Fiction for his book Everything Begins and Ends at the Kentucky Club! 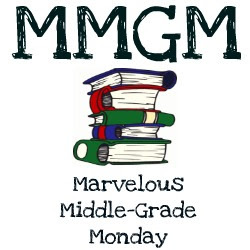 Thanks for stopping by, and have a Marvelous Middle Grade Monday and Wonderful Reading Week. And a Happy Mother's Day to all our readers! I'm over at Project Mayhem today, interviewing the amazing Karen Yingling, school librarian extraordinaire. If you don't know Karen, stop by and learn all about her and what her students like to read. If you do know her, stop by and say 'hi!' anyway!! I'm thrilled today to be interviewing one of my Project Mayhem mates, James Mihaley. (Project Mayhem is my group blog and, if you haven't visited it yet, you should do yourself a favor and pop on over. We're one of the best group blogs out there, and always up for a bit of middle grade mayhem.). Anyway, James is one of our newer members. He has an awesome novel out, and the paperback edition has just been released. In honor of that wonderful event, he's going to be giving away a signed copy to one lucky commenter!!! 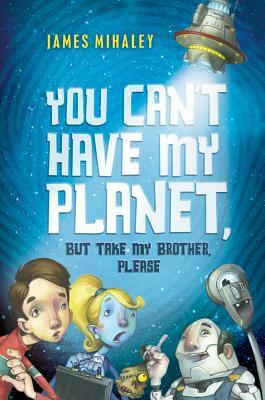 Here's a little something about his debut novel (which is a hoot--just as James is).... YOU CAN'T HAVE MY PLANET, BUT TAKE MY BROTHER PLEASE (Feiwel and Friends, 2012): Thirteen-year-old Giles is the last person anyone would expect to save the planet. He’s not as charming as his little sister, and not as brainy as his goody-goody older brother. But when Giles witnesses an alien realtor showing Earth to possible new tenants, he knows he’d better do something. With the help of an alien “attorney” and the maddest scientist in middle-grade fiction, Giles just might save humans from eviction from Earth. Let’s hope so. The alternatives are . . . not so hospitable. 1) Your agent sold your novel in one day. How did that happen, and how did you keep yourself from joyfully launching into outer space? I did launch into outer space. I was up there for a month and a half. I spent all my advance at a night club on Jupiter. Believe me, it was worth it. Getting serious for a moment, (I promise just a moment, I give you my word of honor), when I wrote the book I didn’t have an agent. Upon completion, I sent my ms to Rosemary Stimola. Rosemary called me on a Monday, said she wanted to represent me. She said she knew someone at Macmillan who might be interested. She asked me if it would be all right for her to submit it. The next day, Tuesday, she sent the book over to Macmillan. On Wednesday, Rosemary called me with the news that we sold it! And check this out. I had submitted the book to two other agents when I sent it to Rosemary. I got rejections slips from those agents after I sold the book, telling me they didn’t think it would sell!!!!!!!!!!!!!!! 2) As well as being a writer, you're a professional hip hop dancer and choreographer. How long have you been writing and dancing? As we all know, there is a God of Writing and there is a God of Dancing. Some people say the two gods don’t like each other that much. On the Mount Olympus of Creativity, there is also a third deity, the God of Writing & Dancing. He looks like a dwarf but has very long wings. He got his head stuck in a jar of honey one day outside a supermarket in Bakersfield, California. I helped him get it out. He rewarded me with a wave of his magic wand. Presto. I became a writer and a dancer. 3) I know that particular God too, but he only allows me to do the cha-cha with two left feet. Oh well... Back to being serious...What piece of writing advice would you have loved to have been given, starting off? To not place so much pressure on yourself with a first draft. When we’re starting out, I think we have a tendency to try and perfect every sentence, right from the opening paragraph. The danger of that approach is that we may end up discarding the exquisitely chiseled opening once we get into the book and find out what it’s truly about. With the first draft, it’s all about getting ink on paper, black on white. Just let it rip. Then, put it down for a week, let it breathe, pick it up and evaluate its strengths and weaknesses. Your ability to accurately evaluate the merits of your work increases dramatically when you put it down and let it breathe. I wish I’d known that at the beginning. 4) I totally agree! Now for some gossip: I've heard that hummingbirds love you. Do they descend upon you, kind of like Hitchcock's The Birds? How long has this been going on? My bond with hummingbirds is peaceful and exhilarating. It began a few years ago when I spotted a hummingbird’s nest in a bougainvillea outside my bedroom window. So tiny and magical. Mother hummingbird was sitting on her eggs in the moonlight. A month later, in another part of the Los Angeles, a hummingbird flew into my car when I was getting ready to start it up. We hung out together in the car for a couple of minutes, me and the hummingbird. Quite an experience. And quite true. 5. One last thing I've been wondering about, James. In the back of your newly released paperback, there’s a Q&A. It talks about you being a robot. What’s all that about? I am a robot. Just kidding. Not really. The truth of the matter is that my skills as a dancer enable me to move exactly like a robot. I decided to use that to create a movie to help promote ‘You Can’t Have My Planet But Take My Brother, Please’. The movie will be coming out this summer on You Tube. It’s called ‘The JimBot’. Here’s the premise of the film: What if it turns out that ‘You Can’t Have My Planet’ was the first book in history written by a robot? What if children’s author, James Mihaley, is actually a robot in disguise? In the movie there’s an investigative journalist who wants to reveal to the world that I’m a robot and win a Pulitzer prize. I have a nosy neighbor (MGM: not me, I swear!) who has proof that I spark in the rain. The film is hilarious. Plus it has a beautiful theme promoting non-violence. It was directed by Mike Pedraza, who is an editor on the 150 million dollar Matt Damon movie coming out this summer. Mike’s wife, Donna Pedraza, produced it. Here is an illustration from the movie done by Austin Jones. It’s me as a baby robot. 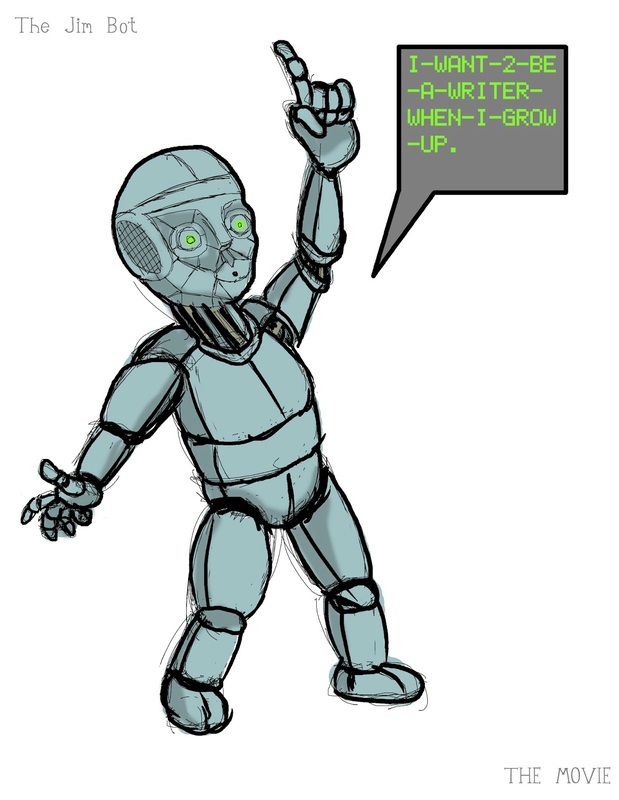 When the JimBot comes out this summer, I’ll be sure to let you know! Thanks so much for the great interview, James. If you're ever in MG Mafioso land, look us up. The Don loves dancing (and accordion-playing! ), so it might be quite a party. Once again, guys, leave a comment to be eligible for a signed copy of YOU CAN'T HAVE MY PLANET, BUT TAKE MY BROTHER PLEASE. And happy reading! !